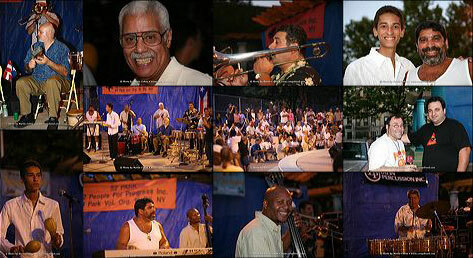 For the second year in a row, LP has produced a concert for the 52 People For Progress Park in the South Bronx. The driving force for these events is Al Quinones, who was one of the 52 people who worked to take a derelict park and turn it into a first class play ground with a theater. This is the same place where LP took its famous Bronx Loves LP photo. This year's band was led by Eddie Montalvo and Gilberto Colon, Jr.